For the first time since the 2014 Final Four in Arlington, Texas, the ACC was without representation during the season’s final weekend. Despite that disappointment, the ACC still finished the year rated as the second strongest conference via KenPom, with two of its nine NCAA Tournament entrants — Florida State and Duke — falling just a game short of a trip to San Antonio. That said, ACC regular season and tournament champion Virginia dominated the conference in stupendous fashion, winning the regular season by four games over runner-up Duke in large part thanks to the stingiest defense since the 38-1 Kentucky team in 2015. 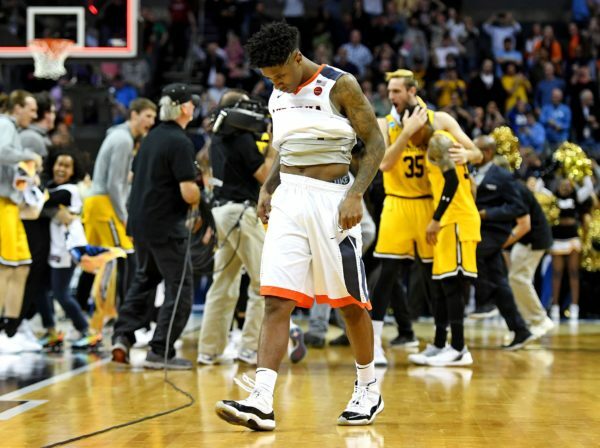 A convincing three-day run in Brooklyn left little doubt that Virginia was a worthy #1 overall seed heading into the Big Dance. We all know what happened next. Biggest Surprise: What happened in Charlotte several weeks ago defied all the laws of common sense and conventional basketball wisdom. The ignominious distinction of becoming the first #1 seed to fall to a #16 will sting the Virginia program for years — perhaps decades — but given the passage of time we can also start to begin to appreciate a tremendous season submarined by an inexplicable 40-minute sample size. And while that upset alone is the exact definition of a surprise, a Cavaliers team that was picked to finish sixth in the preseason laying waste to the entire ACC for three months qualifies as a legitimate surprise on its own right.